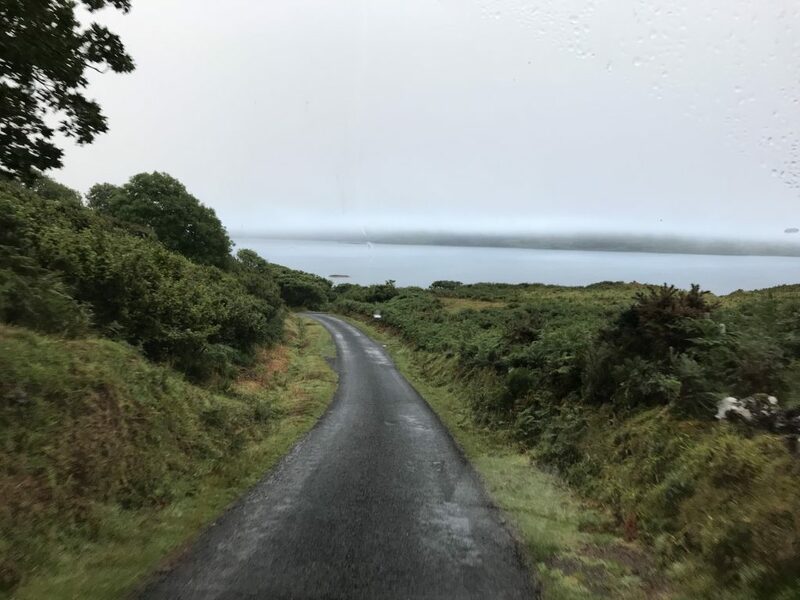 We had over 20 miles of single track costal road to negotiate today and had no idea what we would encounter. One thing we did not want to encounter was any traffic coming the other way so we were up at 5 and on our way at first light! A quick stop to get rid of the rubbish and we moved off into the unknown. We knew the initial part was steep as we could see the road snaking round the point from our site at Calgary bay. 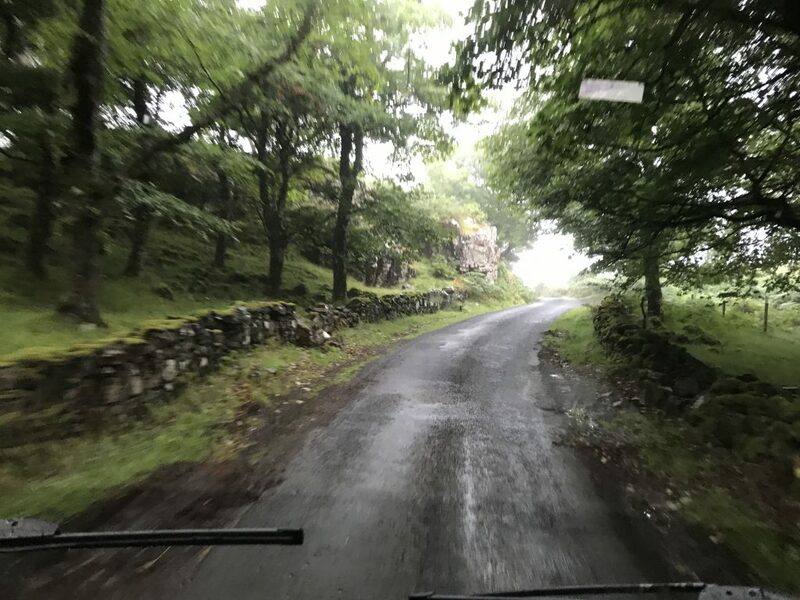 The drive was awful with slopes of over 20 % and 180-degree bend, I thought on more than one occasion that the van was going to tip over. The only good thing about the drive was that the plan to leave early worked we did not meet another car, plenty of sheep and a couple of eagles but no cars. We never got out of second gear so the drive seemed to tale an eternity but we made it to Salem. I would never do that drive again even in a car certainly not in a 6.5 m motorhome. We pulled into the ferry boarding waiting area hoping to get an early crossing, we were 2 days early for our booked slot. The ferry was quiet so we were on the first one out and back on the mainland. The plan for today was to head to Fort William. 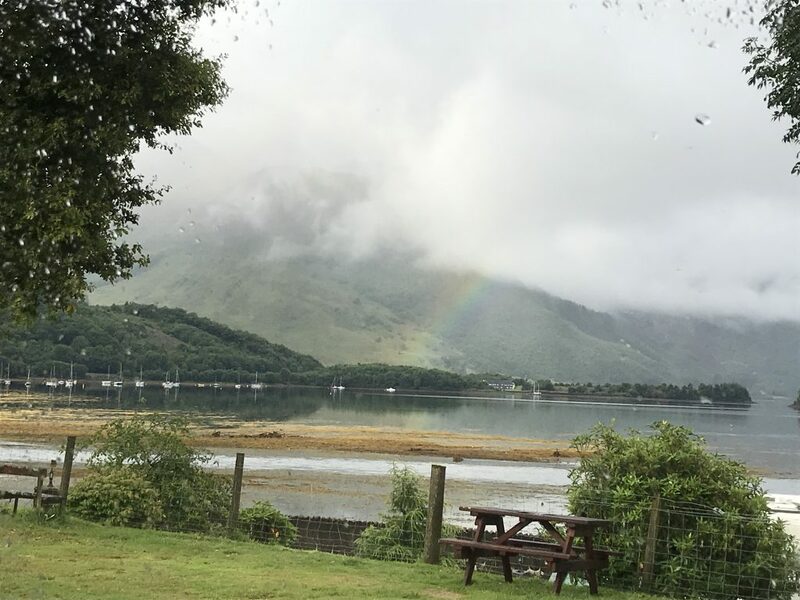 I emailed Phillip to tell him our plans and he suggested we stay at Glencoe which was near where his boat was moored and he would come down to see us tomorrow. 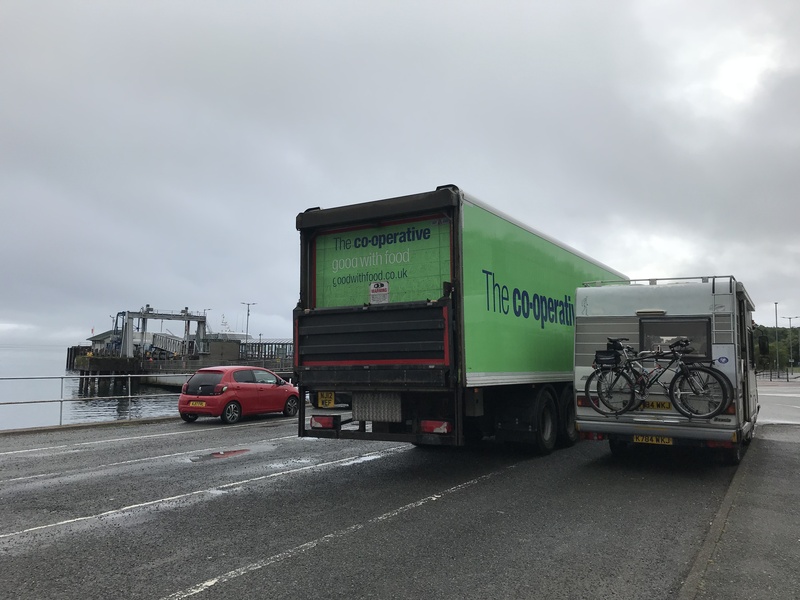 We called ahead and booked a pitch but we could not check in until 13:30 so we did drive into Fort William to pick up a few essentials, we were out of Gin and beer! Checked into the site with quite a pleasant pitch facing out into the Loch time for a shower. 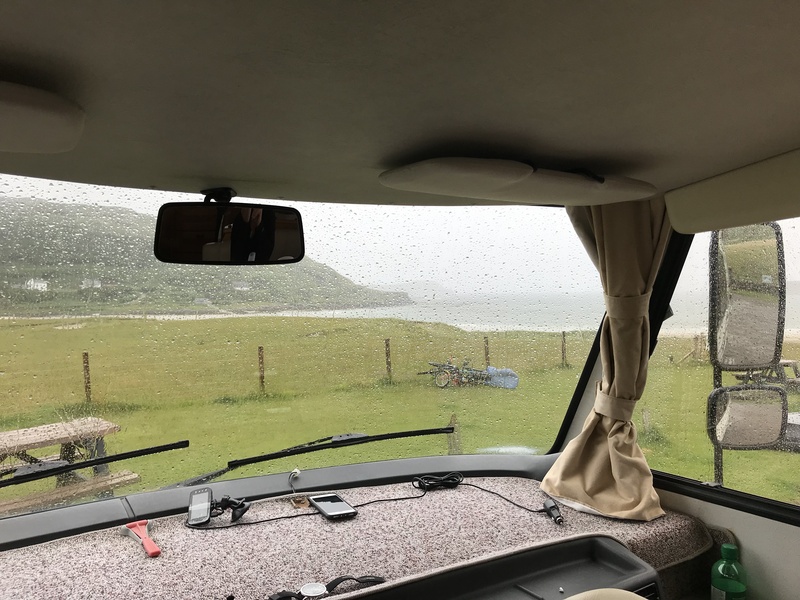 For the first time we had power and water so plugged everything in, topped up the fresh water tank, we were set for a few more days wild camping but the weather does not look any better so we may head back into England after we have seen Phillip. Probably not going out on his boat as the weather is awful! 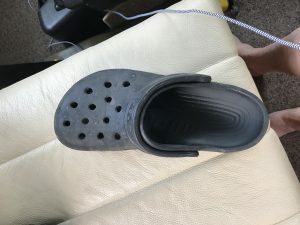 Seems that I have left my left Croc in the car park at Fort William anyone need the right one, size 8 in good condition!